I was fascinated by the individual variation of this flower and took a series of photographs of different flower heads which I thought might make an interesting collage! 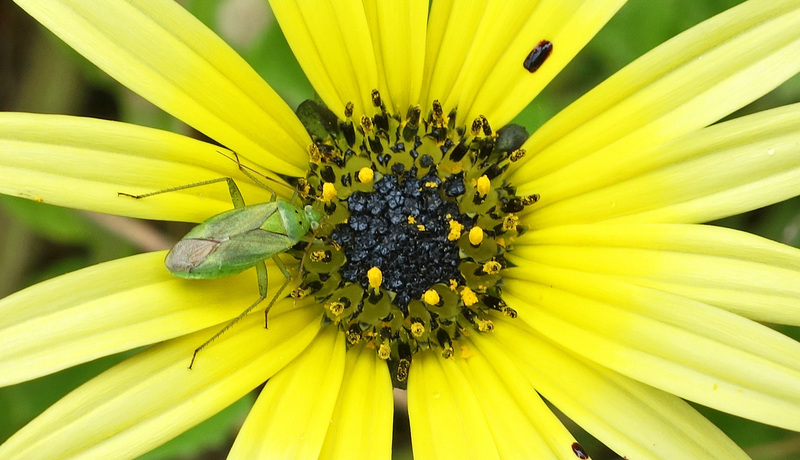 But when I started to look closely at the images, I noticed that there was the same green bug in many of the flowers. 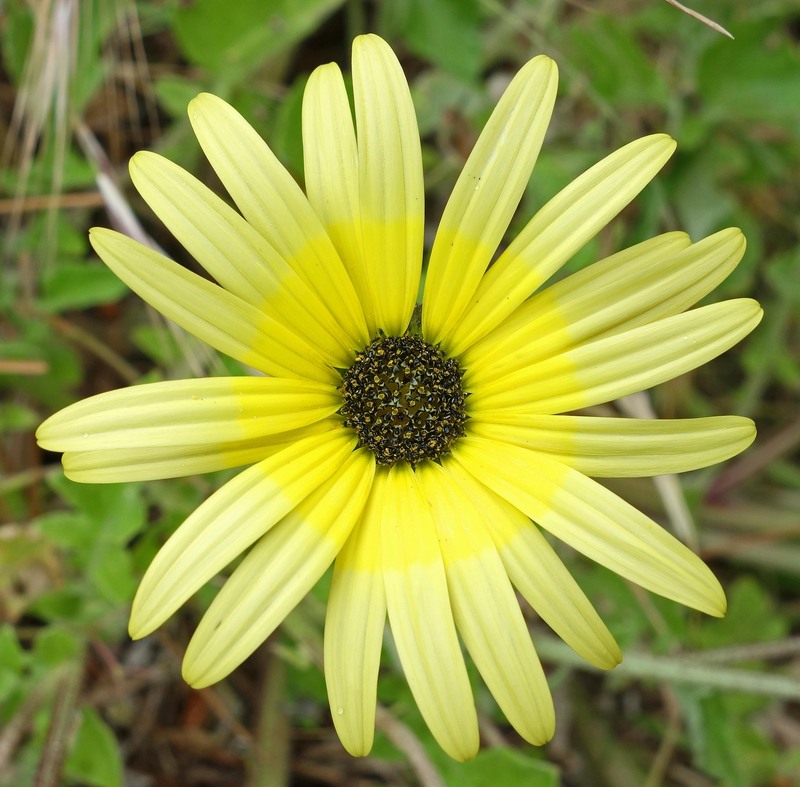 Arctotheca calendula is a flowering aster known as cape weed, cape dandelion or cape marigold; it is an invasive species in Europe – originating from South Africa – which I wrote about in a previous blog (1). The bug is a mirid or capsid bug (Family: Miridae). 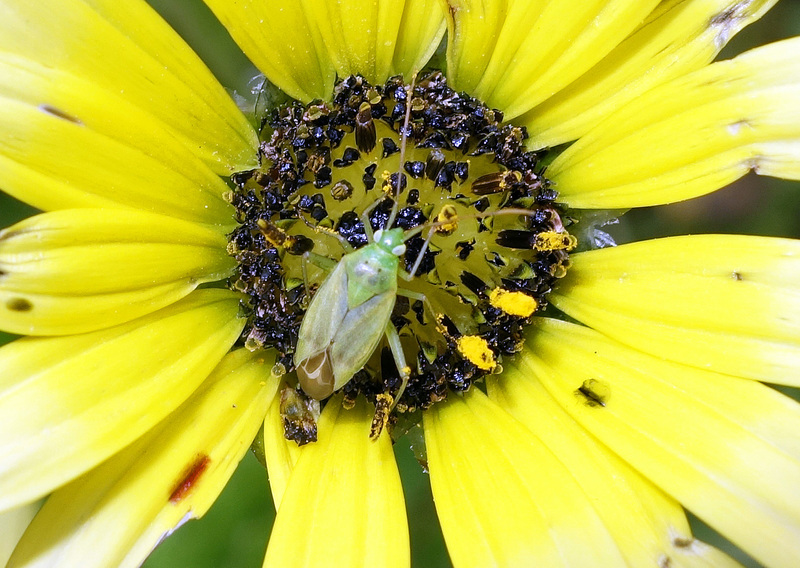 I am not certain what species the bug is, but it looks a lot like the Potato Capsid, Closterotomus norwegicus, which is known to like to feed on flowers in the Family Compositae, which this is. It is sometimes a minor pest of cultivated chrysanthemum crops. But there are a number of green mirid bug species which look fairly similar. One characteristic feature of this species however, is a pair of black dots on the pronotum, which can clearly be seen on the bugs in these photos. 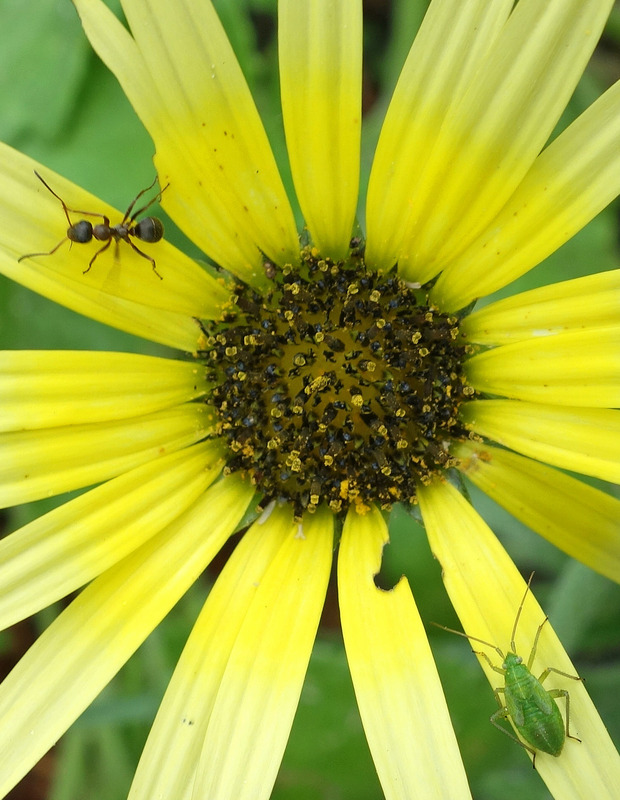 It’s interesting in a way that both bug and flower are both somewhat of a pest! The insect can damage fruit crops, and this flowering plant can exclude native species, as I wrote about before (1). So perhaps the bug is trying to make amends for eating our fruits by attacking this invasive weed! In reality it is not having much effect as the yellow flowers are everywhere in Spring in Galicia, and for the most part, much admired! 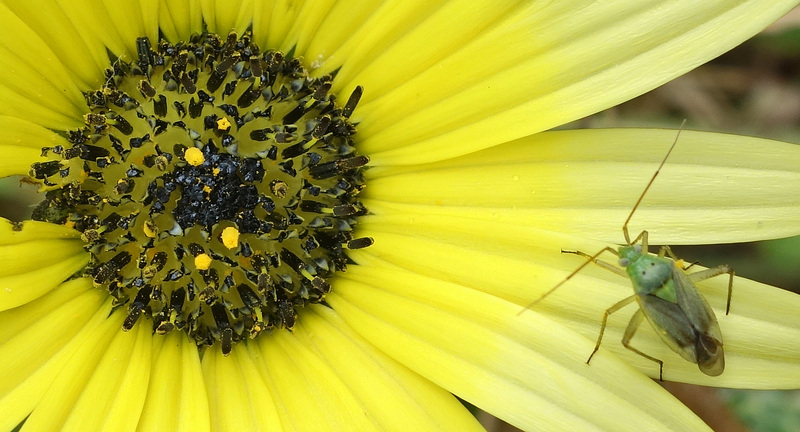 In one flower, there was an ant and what appears to be a late instar nymph of the mirid bug. Clearly they like this flower and their colours are analogous! I.e. yellow and green sit side by side on the colour wheel, so they make a nice match. This capsid bug, Closterotomus norvegicus, which is native to Europe, has itself been spread around the world and is considered as non indigenous, or an invasive alien, in New Zealand. It is an association which is a good example of how mixed up our world has become. Maybe it’s not all bad?! All of these photographs were taken in Galicia, Spain, using a pocket camera, which explains why some images are not perfectly in focus!